The Huntsman Firm is the premier law firm serving Saint George, Utah and the surrounding areas. Our legal professionals have the experience and training to provide the kind of service that helps your case get the best outcome. Presently we have one attorney, who accepts only family law cases. He lived and studied in Japan for two years, and worked through college and law school. He is marred to Bonnie McBride Huntsman (1973). He and Bonnie have three children. University of Utah College of Law December 1976 (Class of 1977); Studied advanced accounting, tax, finance, management, mathematics, and economics at the University of Utah during and after law school. Admitted to the California Bar in July of 1977. Admitted to the Utah Bar in April of 1978. Clay has practiced law for 37 years and concentrates on family law. He is committed to quality representation at reasonable rates. Bonnie McBride Huntsman is office manager for The Huntsman Firm. Bonnie earned her B.S. Degree from Brigham Young University in business education in 1971. She completed post-graduate classes in English literature, mathematics, and business at the University of Utah and Southern Utah University. Bonnie has worked as an executive secretary throughout her career and has managed our private law office since 1984. Her excellent people skills make our clients feel more comfortable when having to confront the stress of divorce, family conflict, child custody, and other upsetting life changing events. The Huntsman Firm contracts with Michelle Reed to provide IT support for our office. Michelle graduated from Dixie State University in 2012 with a B.S. degree in Computer and Information Technology with an emphasis in computer science. Michelle provides the technical know-how to insure that our clients are provided with up-to-date IT support during the course of our representation in their cases. In addition to being provided with technical support, our clients are provided with a disc which contains their entire file at the conclusion of their case. Our firm strives to provide our clients with up-to-date knowledge of the latest law in the family law arena and also with the latest knowledge of information technology. It is a must in our current legal environment. 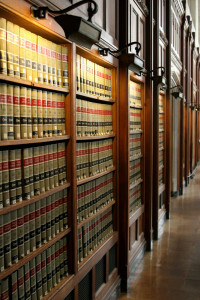 Contact the professionals at our firm to get the kind of representation that your case requires.